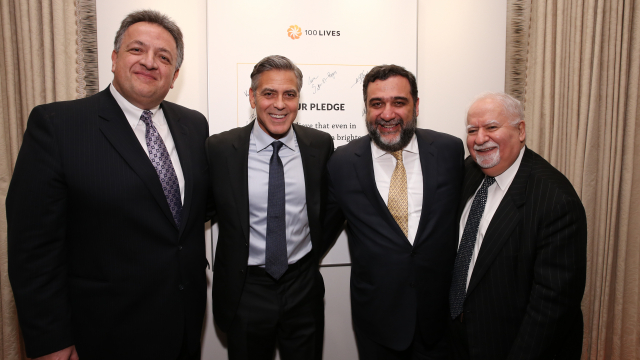 Three international businessmen and philanthropists of Armenian descent came together to establish 100 LIVES as a pioneering global initiative that would express gratitude for those who put themesleves at risk to help Armenians survive the Genocide 100 years ago. 100 lives is committed to recognizing and honoring the human spirit by championing individuals and organizations who continue to demonstrate that same spirit of selflessness to enable others to survive and thrive. This folder contains some information and associated materials on the three co-founders and their inspiration for the 100 LIVES and Aurora Prize.